If you’re stuck inside due to a blizzard, or perhaps from the sweltering heat depending on what hemisphere you’re located in, head to Slots Million for some extra spins. 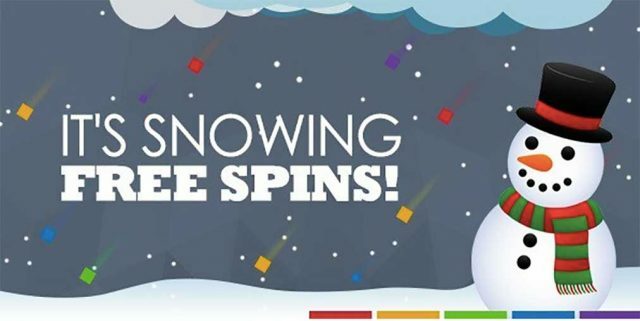 The online casino is running the extra spins promotion up until January 15, 2018, which will keep you entertained regardless if you’re snowed in or pushing your air conditioning to its limits. Players from Finland, Sweden, Norway, Germany, Iceland, Ireland, Luxembourg, Netherlands, New Zealand, South Africa, Switzerland, Austria, and the UK are eligible and you can claim the offer by creating a real money account with Slots Million. Once you’re all signed up, enter the unique code SNOW50 when depositing at least €/$20 or currency equivalent. The reprieve from the heat or cold will then come in the form of 50 extra spins, which you can use on two selected slots: Flowers Christmas and Fruit Shop Christmas Edition. While Christmas is over, you can play these titles all year round – and it doesn’t hurt to hold on to the festive season. The two games, developed by top online casino software developer, Net Entertainment, can be located via the search filter or by entering the names in the search bar. You need to wager the winnings 35 times – you can still make a real money withdrawal but this will cancel your extra spins bonus. We recommend playing the variety of new slots recently added to the extensive online casino catalogue to clear the wagering requirements. Slots Million has added eight new slots to the online casino catalogue, and they’re available to play on both mobile and desktop devices. The games are from a variety of software developers, meaning you’re bound to find different features and unique gameplay. If you like the sound of these games, head to Slots Million to claim your 50 extra spins and get spinning the reels.